Financial services is one of the most regulated industries around. Given that financial services firms manage people’s livelihoods, it makes sense that they take security seriously. 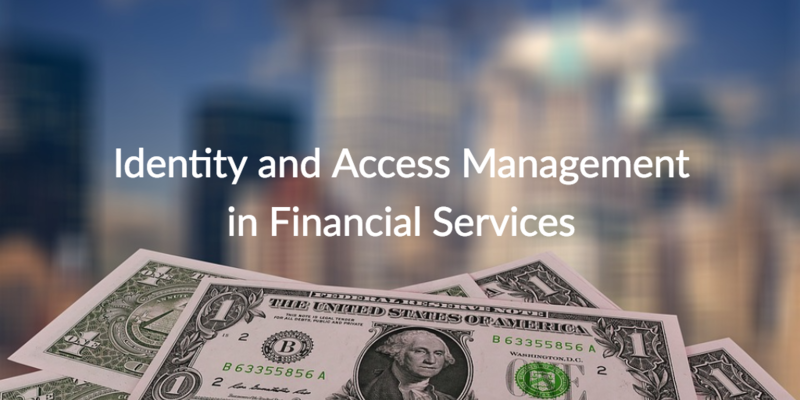 So, it’s no surprise that identity and access management (IAM) in financial services is critical to ensuring that only the correct people have access to sensitive information. Historically, Microsoft® Active Directory® (AD) has been the default identity management solution in most financial services firms. AD is an on-prem directory services platform designed for managing Windows®-based IT resources like systems, applications, files, and networks. When AD was released in 1999, Windows-based IT resources such as these made up the vast majority of the networks in financial services firms. This enabled Microsoft to establish AD as the go-to identity management solution because it was effectively the only solution required to manage the firm’s entire IT infrastructure around the turn of the century. Today, there is an interesting tension in the financial services world when it comes to managing modern IT networks. On one hand, cloud technology has proven that it can provide firms with competitive advantages such as reduced cost and management overhead, while maintaining compliance with regulations such as PCI, GLBA, SOX, and many more. On the other hand, regulators are often slow to trust new technologies, and news of massive security breaches are often in the headlines. As a result, IT admins working in the financial services industry must be extremely security conscious when leveraging cloud IAM because paranoia is not retroactive. The challenge for modern financial services firms is that Active Directory has to be installed on-prem within their own data center and maintained by skilled personnel. Consequently, it also has to be secured by their own security programs and vigilance. To be fair, this approach wasn’t necessarily a challenge back when financial services firms were able to limit their IT infrastructure to on-prem Windows systems and applications. However, we have all come to find out that an on-prem network made up of Windows IT resources is missing out on any number of innovations. There is no doubt that financial services firms are changing the way that they approach IT. 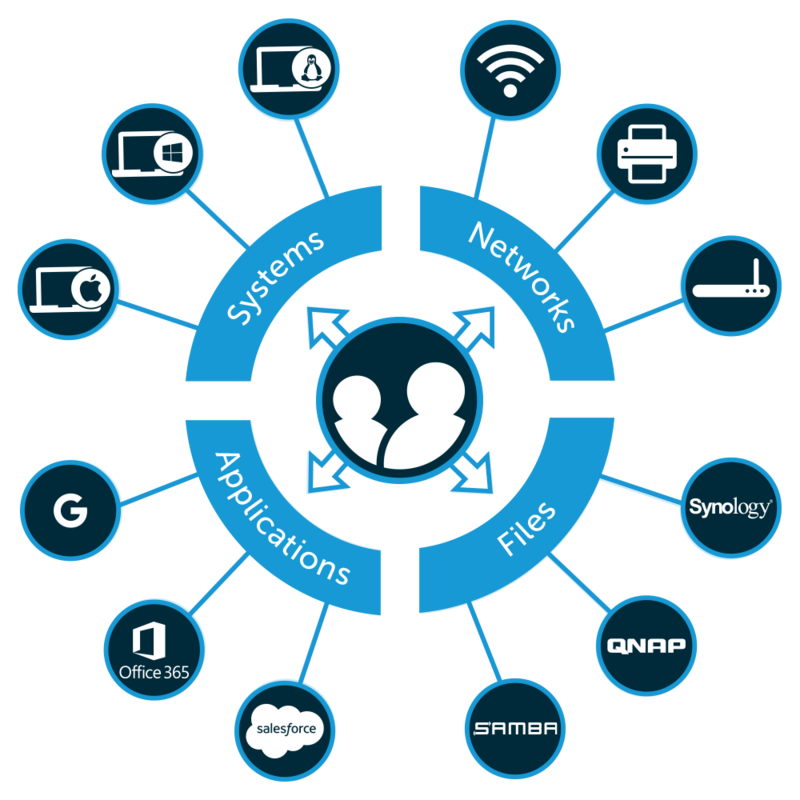 From cloud infrastructure such as AWS® or Google Cloud Platform™ (GCP), Mac® and Linux® desktops and laptops, web applications like Salesforce™ and G Suite™, cloud storage platforms like Dropbox® and Google Drive™, on-prem storage like Samba and NAS, WiFi, and much more, financial services firms have come a long way from the Windows-centric networks of old. However, these changes can sometimes be at odds with what regulators and compliance statutes want, not to mention the limitations of traditional IAM platforms – but it doesn’t have to be that way. In fact, when it comes to identity management, one of the most important steps when using new technology is to tightly control and secure access to it. 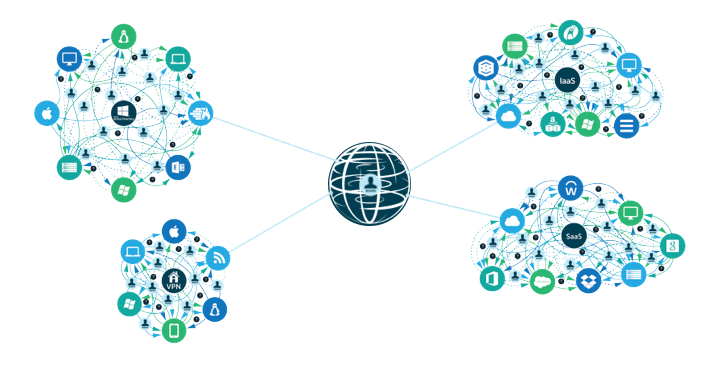 Fortunately, a new era of cloud identity management platform is helping forward thinking IT teams at financial services firms manage and secure user access to IT resources regardless of the location, platform, protocol, and provider. It’s called JumpCloud® Directory-as-a-Service®, and it is helping financial services firms around the world achieve their cloud-forward goals while maintaining compliance with industry regulations. JumpCloud Directory-as-a-Service is a next generation cloud IAM platform that securely manages and connects users to their systems, applications, files, and networks. However, unlike AD, JumpCloud is designed for virtually any IT resource that users need to leverage – rather than being limited to on-prem, Windows-based IT resources. JumpCloud admins can also leverage a number of security features such as password management, multi-factor authentication (MFA/2FA) for systems and applications, GPO-like capabilities for cross-platform environments, and more. The advantage of this approach is that IT is free to choose the best and most secure IT resources for the firm – with the peace of mind in knowing they can effectively manage it all from one cloud-based solution. Contact the JumpCloud team for more information about identity and access management in financial services, and how the JumpCloud Directory-as-a-Service platform can help. You can also schedule a demo or sign up for a free account and see for yourself. Your first 10 users are free forever.